Disaster Strikes Parts of Texas and Oklahoma | The Voss Law Firm, P.C. Some of the most violent weather the region has seen in years has ravaged parts of Texas, and Oklahoma; even a small border town in Mexico experienced unprecedented damage. The worst damage is being reported in the small towns between the Texas capitol and San Antonio. 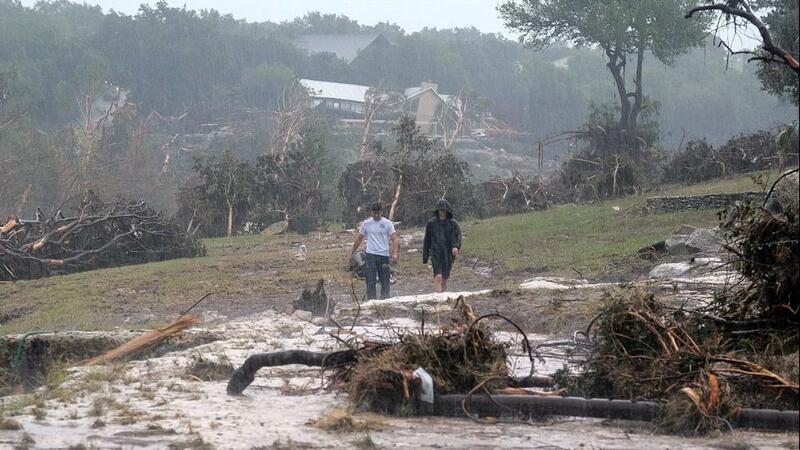 As of now the storms in the Texas Hill Country, which struck late Saturday night, have led wide spread damage reports around the Blanco River; including Wimberely vacation and retiree homes swept away by the nearly 40 foot surge. Twelve people remain missing, as rescue crews continue to scour the more than 350 homes in the small vacation town damaged by the storm; part of the more than 1,200 homes reportedly affected in Central Texas. Weekend storms continued into Monday, causing severe flooding in the central Houston area. Three people were killed as a result of the flash flooding of major high ways and streets; and fire crews conducted hundreds of water rescues throughout the night and into the early part of the morning. At least 500 to 700 homes are estimated to have experienced damage during the flooding. Texas Governor Greg Abbott added 24 counties to the dozen already declared disaster areas because of the severe weather earlier this month. Residents of Oklahoma also had to contend with the unexpected inclement weather, experiencing wide-spread damage due to flooding and tornados. National Weather Service forecaster, Mark Wiley says “It’s really Texas and southeast Oklahoma that are the bull’s eye for severe weather,” he cites the combination of tropical moisture from the Gulf of Mexico, and the dry West Texas air as causes for the damaging storms. Even towns which had never before seen such damaging weather, experienced never before seen forces. 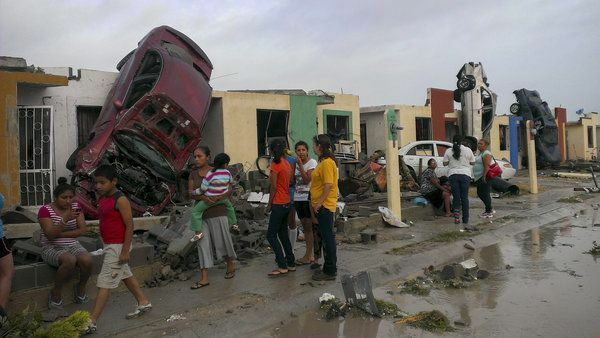 The small border town of Ciudad Acuña, which lies to the west of San Antonio, had a large tornado tear through blocks of buildings Monday—killing 14 people and leveling countless homes. Storms are expected to continue into the week. Residents of Texas and Oklahoma are advised to stay tuned to weather forecasts. Updated weather reports, and alerts/warnings can be seen at the National Weather Service’s website. Damage to homes and businesses is one of the harsh realities resident’s in affected areas are dealing with in the light of day. Insurance companies are going to be receiving hundreds of claims in the coming days, and are going to be looking to protect their number one priority—themselves. The team at The Voss Law Firm is committed to providing our clients with the very best legal support to get you what you need and help you start to rebuild your homes and lively hoods. Contact our policyholder advocacy team directly at 888-614-7730 today and join the community of satisfied clients who have brought their concerns to our attorneys. You can see some of The Voss Law Firm’s satisfied client testimonials by clicking here.